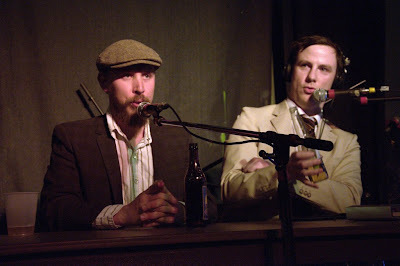 Stop Podcasting Yourself LIVE in Toronto! Stop Podcasting Yourself will record a live podcast on Saturday, March 3rd at the Comedy Bar in Toronto, featuring some hilarious surprise guests. Join us, won't you? UPDATE: Tickets are now sold out for the show. You bought them up in about 3 days. Thanks! There will also be a stand-up show earlier that night. Tickets for that will be available at the door.